Find UC Santa Cruz on Facebook, Instagram, Twitter, LinkedIn, YouTube, and Pinterest. Read UC Santa Cruz Review stories at review.ucsc.edu. My wife Julie (Abramson) is a 1977 Crown grad. When I met her I was living with some dear friends who were attending UC Santa Cruz and living in a house at the end of Swift Street. 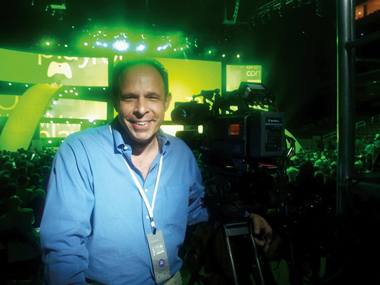 One of my closest friends to this day is Paul Sparrow [see an alumni profile of Sparrow, page 30]. We grew up together and spent our high school years on Long Island, NY, fantasizing about "going to California." Paul went to UC Santa Cruz, and I became a goldsmith working in Carmel Valley and commuting from Santa Cruz. Robin Lewin (Kresge '79, communications and music) and Larry Tyrrell (Porter '80, aesthetic studies/music) also lived in our Swift St. house. Lewin is a video producer in Los Angeles today. He was a disc jockey and station manager at KZSC from 1976–79. 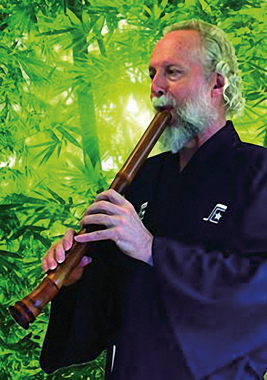 Tyrrell is a world-famous Shakuhachi flutist living in Portland. As for Julie, she is now Julie Morrison, and has been with me for the past 38 years. Her dedication to the type of education she received at UC Santa Cruz has served her well, and she has passed it on to our two boys. Our sons' academic and professional success is completely (in my humble view) due to the ethos, flexibility, and support of disciplined passion that Julie experienced at UC Santa Cruz. She passed this type of value on to our sons as their coach and mentor regarding the importance and essence of attending a great school, with outstanding professors, and enjoying the process, while it moves them forward toward their dreams and goals in life. My deepest thanks, appreciation, and gratitude to a great institution of learning and all you have contributed to my friends and my family. What a great surprise it was to find in my mailbox an issue of UC Santa Cruz Review tracing its first 50 years. I'm glad you found me. The issue brought back a veritable flood of memories. I was a busboy in the Pogonip Polo Club (as it was called then) around '65 when ground was just beginning to be broken on the rolling green grassy hills above the club. I remember we were all a little wary about the action and what the consequences would be from this pretty serious ecological disturbance. These were hills we had grown up in, and on, after all. Looking back of course, the jewel that UC Santa Cruz became erased any qualms or misgivings I had. Two years later, on weeknights during the school year, a friend and I would pedal our 10-speeds after dinner from Live Oak all the way up the excruciating grade to the campus, to while away the evening hours doing our homework at McHenry Library. As high school students still, we found it awe inspiring to wander around that majestic edifice, in and out of the stacks, until we found our private corner to set up camp—at which time, totally to our surprise, as well as that of our parents, we found ourselves far more able to study there than anywhere else we had stumbled onto to that point. Of course it did not hurt, in fact it was an added perk, to be able to coast at death-defying speeds back down that grade, in the moonlit night back into Santa Cruz. 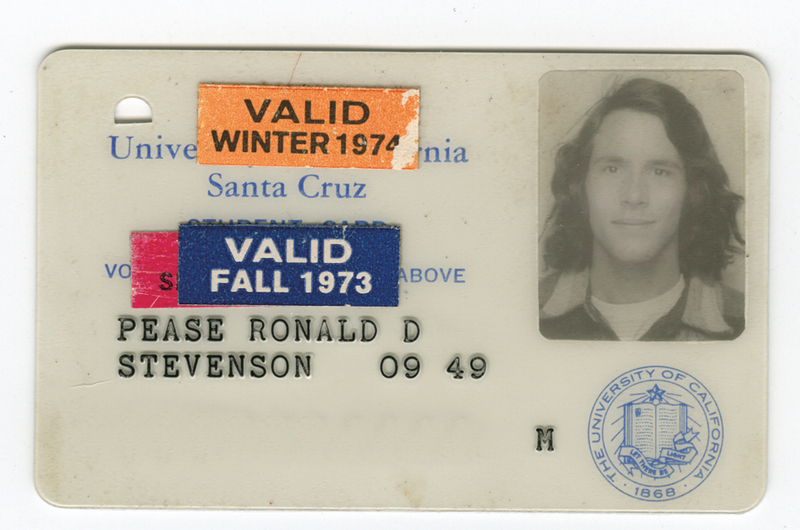 In '73 I found myself a student at Stevenson College in my junior year. I would purposely schedule my day around classes, making sure to park at the bottom of the hill at the entrance. This would enable me to hike through what surely must have been the most verdant and untouched, wild even, grounds of any university of UC Santa Cruz's stature. If I allotted enough time, I might be lucky enough to find some of my favorite redwood clusters unoccupied, and so would sit, meditate, and play my new silver flute. It somehow always prepared me, grounded and rounded out the experience I would have subsequently in class. During that same year one of my favorite courses was Birth of a Poet, taught by that old rascal bard William (Bill) Everson, who, years later, became my friend and mentor, although I have counted many others as mentors as well. But Brother Antoninus, né William Everson, was special. Bill would hold forth in a mesmerizing extemporaneous fashion befitting a poet of his talent, while I and other ragtag students lay on the dirt floor of the geodesic dome on the College Five campus that served as Bill's classroom. He hypnotized us with his eloquence, his way of speaking. Our assignment was to keep a journal of our dreams. I saw Cesar Chavez and Dolores Huerta speak for the United Farm Workers in the Quarry. I had a class there, I think it was The Anthropology of Religion. There were many small musical events held there. I once fell off a skateboard in the Quarry parking lot, creating a permanent floating bone fragment in my elbow. Please, please, please bring back the Quarry! It was something of a shock to hear of its closure. Thank you so much again for finding me. I am a 1971 graduate of Cowell College, and I was struck by your recent article about the early years at UC Santa Cruz ["Original vision"]. I cherish my college education, especially the relationships with the likes of Tom Vogler, George Amos, Marshall Leicester, and Norman O. Brown. They provided rich stimulation in an unprecedented academic atmosphere. But there was more to our college experience than intellectual exploration. There was a backdrop of doubt, fear, and anger. The war and the threat of conscription weighed heavily on many of us, and we found ourselves confronting the values of our parents, who had sacrificed everything to defend the very freedoms that we challenged. Generations were torn apart. It was a time of flux and fire. Add to this the widespread drug culture, which started out as fun, but led to the inevitable collision with real responsibilities. The physical and cultural isolation of UC Santa Cruz raised doubts about the privileges that allowed us to be there at all. It was a wonderful time to be young, but moral, social, and political confusion took some of the edge off the flossy magic that you describe.